The world’s resources are under more strain than ever before as global demand for water, energy and food increases. It is now crucial that the world adapts to create a more sustainable and secure food system whist using fewer resources. A number of Farming First spokespeople were on the panel, including Robynne Anderson, the UN representative for the World Farmers Organisation, Santiago del Solar, an agronomist and farmer from the north west of Buenos Aires Province, and Dawn Rittenhouse, director of sustainability at the DuPont Company. The issues around the global food crisis that were up for discussion were varied, and included food waste, choice editing (where retailers remove products that are harmful to the environment from their shelves), rising obesity and population rates, food production, diminishing resources, and climate change. In the closing ten minutes of the discussion, panel members were invited to share a short comment on what they consider to be the most urgent steps for the next ten years. “Thanks for the opportunity to participate in this discussion…it has been great to read all the thoughts from the wide ranging conversation. To view the full discussion click here. At the World Bank Open Forum on Food, an expert panel addressed the issue of how to solve the global food crisis in front of an audience of about 120 guests… and streamed live to hundreds more viewers. FANRPAN CEO and Farming First spokesperson Dr. Lindiwe Majele Sibanda took part in one of the panel sessions, which included with Calestous Juma, of Harvard University, David Beckman from Bread for the World, World Bank Vice-President Inger Andersen. Focusing on the solutions to the problem of rising and volatile food prices, the panel discussed the possible paths to relieving poverty and food insecurity. Dr Sibanda spoke of the role of the private sector in helping to develop local agribusiness. She cited a case where treadle pumps were distributed to farmers, but that there were no local artisans to repair the equipment and make them affordable. The private sector, she said, have the opportunity to get involved to help communities be able to produce tools locally, and offer the services to repair and renew the tools. On empowering farmers, Calestous Juma said that farmers need two things. Firstly, they need to be encouraged to organise themselves into enterprises, and be supported in this endeavour, and secondly, an expansion in technical training is needed to ensure farmers are up to speed with modern farming techniques. David Beckmann emphasised that while these types of panel sessions can talk about the technological solutions, we need to make a commitment to get this done. In the US, he said, there are proposals for cuts that would harm the poor all around the world. This is not just technical problem, he said, it is a matter of mobilising commitment. Much of the online debate accompanying the panel discussion revealed that people’s greatest concerns were with support for smallholder farmers. Dr Sibanda addressed the issues of access and affordability of inputs for smallholders. Malawi, she said, is one example where we saw uptake of hybrid seeds when subsidies were introduced. The subsidies were for 2kg of seed per farmer. Farmers who were producing yields of 500kg per hectare were later seeing yields of 3 tonnes per hectare. Through the introduction of the new seeds, an improved network of suppliers was built up, and on top of their subsidy, farmers then sought to buy additional supplies of seed of their own. Dr Sibanda’s final plea was to put farmers first in efforts to deal with food crisis. She said that today in Africa, farmers do not have the food to feed themselves let alone their communities. The first port of call is to enable farmers to come out of poverty. Assisting farmers to feed themselves is the first step to the farmers being able to feed others. Food security is an immediate and future priority for all countries worldwide. 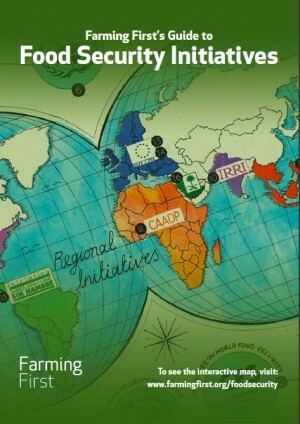 Since the food crisis erupted in 2008, a large number of global and regional food security initiatives have been launched or strengthened in response. While these developments are welcome, improving policy and implementation coherence is essential to ensure programmes have the desired impacts. household food procurement and preparation, and family unit support. Productivity levels in most developing countries have to be raised exponentially while considering environmental sustainability. Policies encouraging investment in developing countries’ agricultural sectors should be supported. Governments should invest in their agricultural sectors and devise long-term agricultural development strategies supporting the development of local agricultural markets and farmers’ ability to answer market demands. As part of its series of ‘climate thinkers’ blog posts, the COP15 website has featured an essay by Farming First’s Thomas Rosswall. COP15 — as the 15th conference of parties of the United Nations Framework Convention on Climate Change is often referred — is where delegates will negotiate a successor protocol for reducing global emissions leading to climate change. Its website has been a source of information and debate ahead of the negotiations themselves, which run from 7-18 December in Copenhagen. Farmers are on the frontline of climate change. By 2050, the world’s population is expected to increase from 6 to 9 billion people. 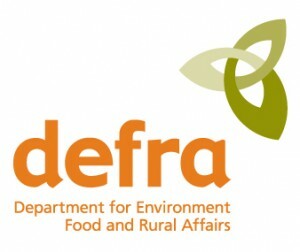 Demand for carbon-intensive foods such as meats and oils is also expected to increase. Meanwhile, yields from key staple crops are expected to decline, especially in many of the poorest countries, due to climate change. Wheat yields in sub-Saharan Africa are expected to fall by 34% and rice output in South Asia by 14%. In an earlier post on this blog, Kanayo Nwanze, IFAD’s President, outlines the link between food security and climate change. Rather than repeating his message, I instead will focus on how this triple challenge of food security, rural livelihoods development, and environmental sustainability can be incorporated into future climate change strategies. Silos are for farmers, not for climate thinkers. Climate change impacts every link in the agricultural supply chain. Smallholder African farmers already find new weather patterns undermining their traditional knowledge of when to plant and how to cultivate their crops. Consumers, particularly in the developing world, still face high food prices and the threat of further price increases in the future. Suppliers work around poor transport networks and unharmonised regulatory regimes. Scientists persevere in making their research relevant across disciplines and geographies as well as to farmers and policymakers. The scale of this climate challenge requires all of these groups to work together with policymakers to find common objectives and solutions. Farming First is a good example of an initiative which is already acting on this goal. Farming First is made up of 124 organisations representing the world’s farmers, scientists, engineers and industry. Farmers need roads; climate thinkers need roadmaps. Farmers cannot get to market without roads and other vital tools and technologies. Effective infrastructure can help farmers improve their productivity, preventing deforestation and protecting biodiversity while supporting food security. We must also invest in knowledge sharing by creating a dedicated adaptation fund for agriculture which is accessible to farmers’ organisations in developing countries. Addressing climate change through agriculture is certainly not beyond our capability, but it may well be beyond our current capacity. Farmers need our long-lasting commitment if they are to achieve their true potential for sustainability based on the best local approaches. The seeds of change must be nurtured and disseminated. Many of the solutions for helping farmers address climate change already exist. These successes need to be scaled up, and they must reach the farmers who need them most. In addition to investments in road infrastructure linking farms to markets, solutions include integrated crop and pest management, no-till agriculture, intercropping, improved seeds, fertilizer best management practices and investment in storage facilities protecting crops after harvest. But we must also use our current field of knowledge as the basis for further research and innovation to invent the necessary adaptation and mitigation solutions for the future. For instance, researchers are beginning to use new satellite technology to determine what type of farming techniques are being used. When matched with other agronomic and meteorological information, this mapping system can determine the amount of carbon being captured in the soil (the basis for a voluntary agricultural carbon trading scheme) and can supply farmers with more locally appropriate advice such as when to apply inputs, in what quantity to apply them, and when to harvest. Copenhagen leaders should embrace the advances being made in measuring soil’s potential in sequestering carbon by including agriculture within multilateral financial mechanisms such as the Clean Development Mechanism (CDM) and Joint Implementation (JI). They should also advocate for further robust methodologies and field-testing to overcome remaining uncertainties around measurement, reporting and verification. At this critical and fragile interface of economic markets, our environment and human welfare, science has much to contribute. Let us make good use of it. Thomas Rosswall is the former Director of the International Council for Science (ICSU). ICSU is one of the founding supporter organisations of Farming First. Mr. Rosswall is currently the Chairman of the CGIAR Challenge Programme on Climate Change, Agriculture & Food Security (CCAFS). He writes here in his capacity as a spokesperson for Farming First.